The majority of North American businesses are family owned and many are facing ownership-transfer issues as more Baby Boomer founders enter retirement. On the eve of a retirement, or following a death, family-run businesses have four basic choices. The first two involve giving up a family tradition: closing up shop or selling the business to outsiders or non-family employees. The second two choices involve keeping the business under family control and either hiring outside managers or passing on the business to younger family members. That final option of family succession can be difficult and not every business that attempts it is successful. Family dynamics often play a major role in the success or failure of a transition. Only a very small number of family businesses succeed in transfers to the second generation and even fewer make it to the third generation. The key to success: Clear communication and the cooperation and commitment of everyone involved. Set up a family retreat early on in the process and bring in an independent third-party facilitator, such as your CPA, who can keep everyone's eye on the ball and smooth over the rough patches. The facilitator can objectively help to determine strategy, assess the current situation, develop strategic plans and discuss, review, implement and monitor those plans. Other professionals, such as insurance agents and bankers, may also be called in to help devise the plans and put them into effect. A business plan that sets out the founders' original vision, mission and goals and gives other family members a clear picture of what the future should entail. A family plan aimed at avoiding sibling rivalries and management-control issues. Here, you address compensation policies, management expectations, performance measures, job descriptions and codes of conduct within the business. You should also outline who is entitled to join the business and how to treat family members who aren't involved with the company. An estate/retirement plan that incorporates a business valuation, how to finance the buyout, distribute retirement funds and calculate estate taxes. Another critical issue here is the inheritance of corporate and non-corporate assets. A succession plan that sets the date for retirement, establishes a timetable for training new management, outlines any role the founders will continue to play and arranges for the management of cash flow. It's never too soon to start: Succession planning helps you balance both personal and business interests and helps ensure that your family-run business gets through the transition successfully. Lack of viability. The business is so dependent on the founder that it cannot operate without his or her continued, active participation. Lack of planning. The successors aren't prepared, trained or experienced enough to take over management. Lack of will. The owner simply doesn't want to give up control. Lack of interest. Family members have little or no interest in taking over the business. 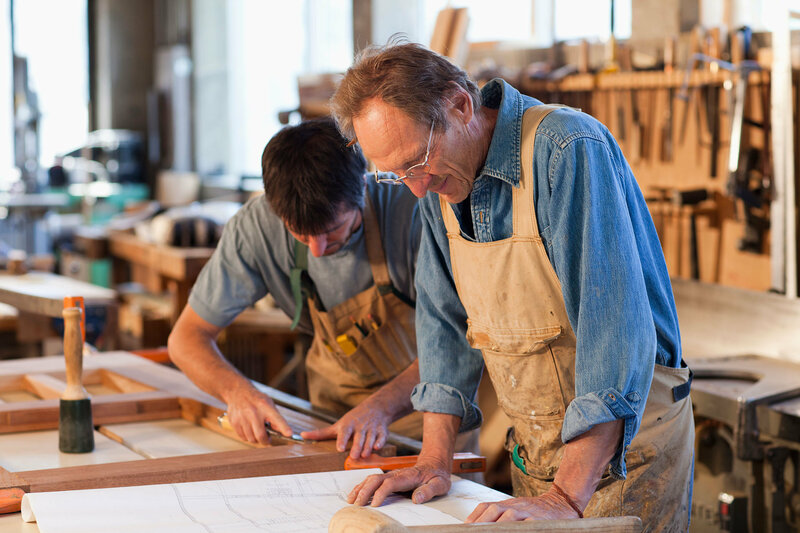 Are you looking to start a family business succession plan? Concannon Miller has decades of experience helping privately-held businesses successfully transfer between generations, including tax planning, estate planning and performing business valuations. Contact us for more information.